Handlebar width, rise, and sweep are all choices the modern mountain biker must make. Bike geometry evolved a lot in the last few years, and with those changes we’ve seen a move to wider bars and shorter stems. But there’s still a difference in setup based on your riding style. Weight distribution is key to putting the rider in a balanced position. 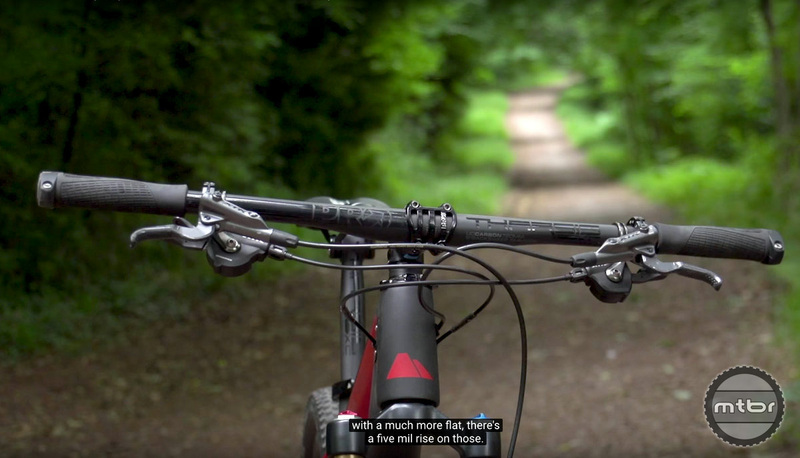 Check out these three videos from our friends at the Global Mountain Bike Network to learn more. Enduro or all mountain riding is best matched with wide bars and short stems, while XC riders typically opt for narrower bars and longer stems. Understanding the trade-offs with these choices will help you better dial in your bike’s set-up. Of course, the days of 600mm bars and 140mm stems are gone, as we finally understand modern geometry and creating frames that fit well with these new components. Bar width, rise and sweep are all choices the mountain biker can make. Does Copper Harbor have the best riding in the midwest? My issue is flipping over on the most simple of bumps, like Im sitting too far ahead or on a too small a frame. Would a longer stem take care of this?